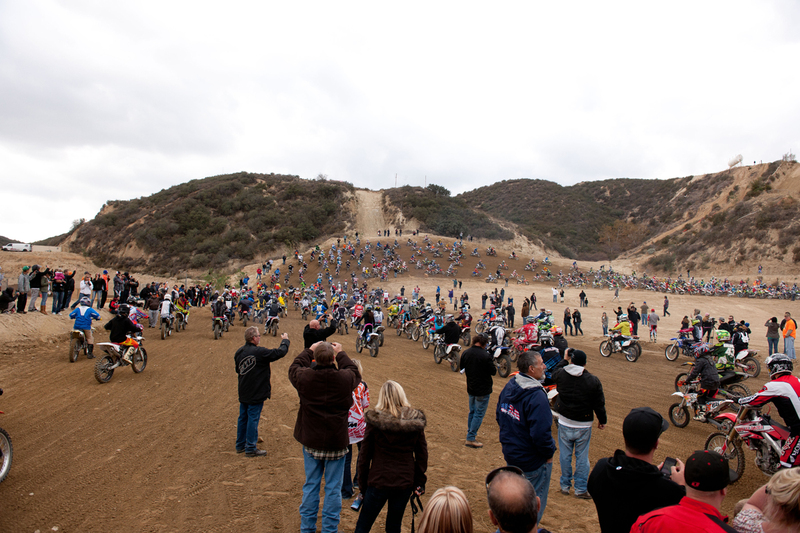 Cloudy skies at one of California’s most famous off-road circuits reminded everybody of the reason for the gathering at Glen Helen but this was a moving and appropriate send-off to one of America’s fondest bike racers. 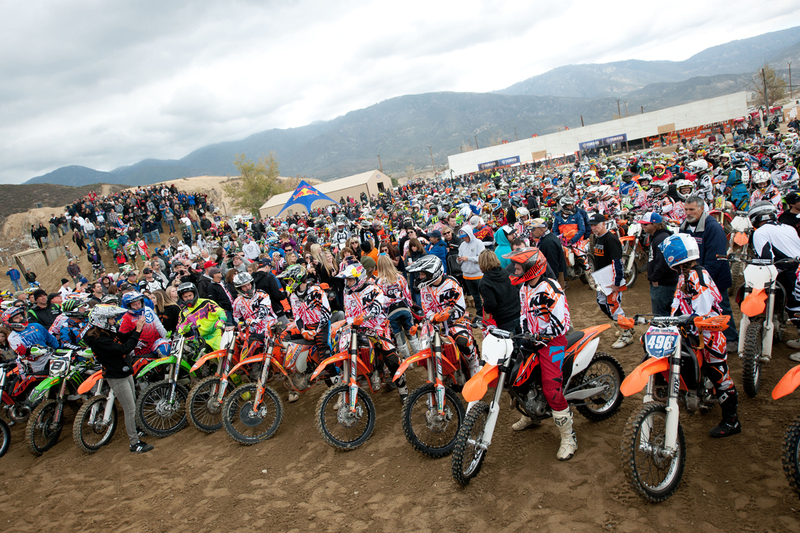 The lengthy queue of cars and campers into the facility at San Bernardino was the first indication of how many people had come to embrace this incredibly premature goodbye to Kurt Caselli who was just thirty years of age when disaster struck at the Baja 1000 rally two weeks ago. 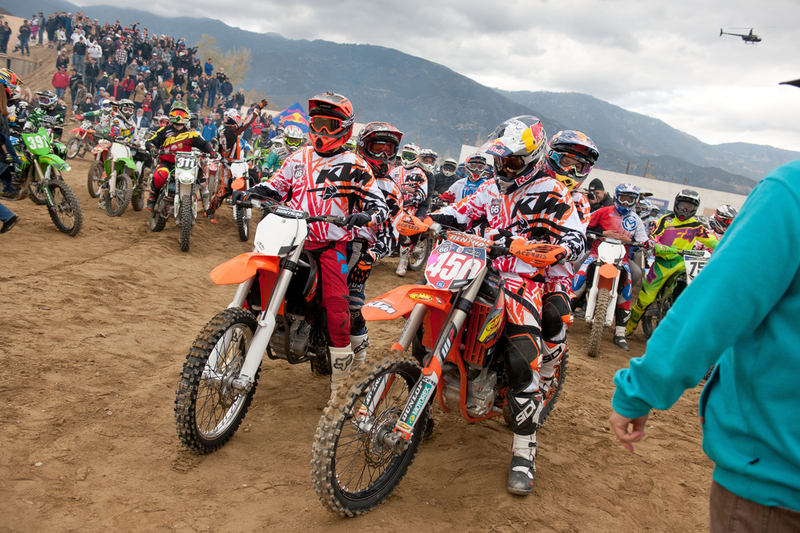 The KTM crew and the American’s team-mates were just some of the many who came to pay their respects and take a ride-out in Kurt’s honour with his mum Nancy and fiancée Sarah at the head of the vast pack of motorcyclists. 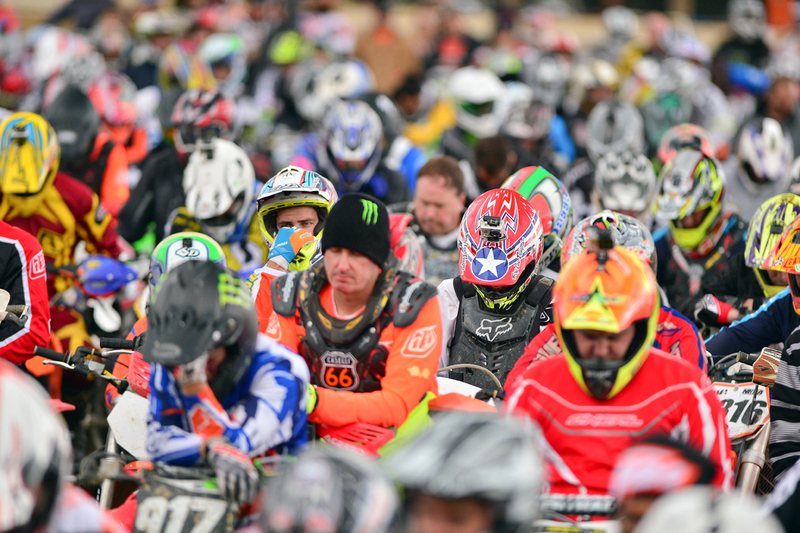 Motocrossers like Dean Wilson, Blake Baggett, Cole Seely and then other luminaries like AMA Superbike racer Chris Fillmore and off-roaders like Destry Abbott were part of the group that numbered several thousand. 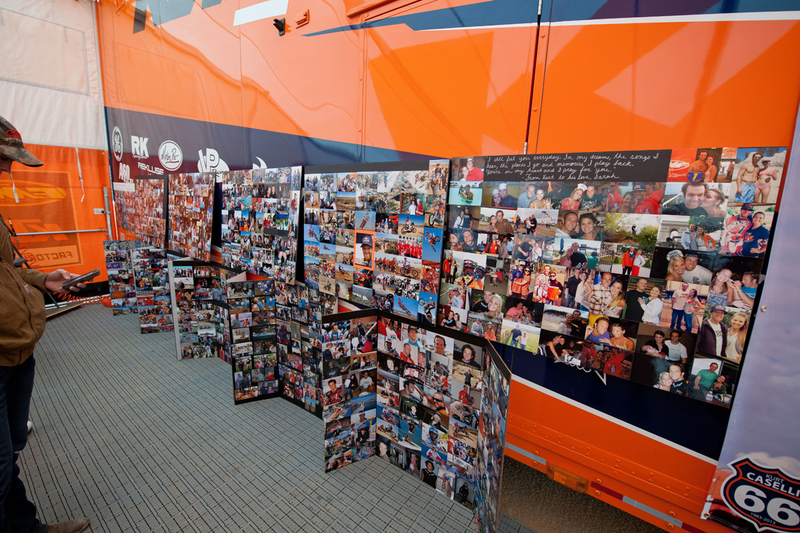 On display was a photo-wall dedicated to the fun, memories and important moments of Kurt’s life as well as his race-bikes. 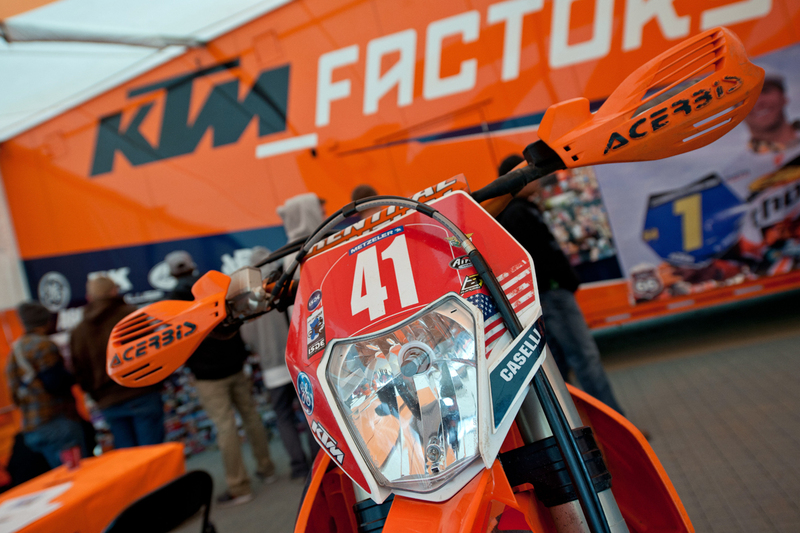 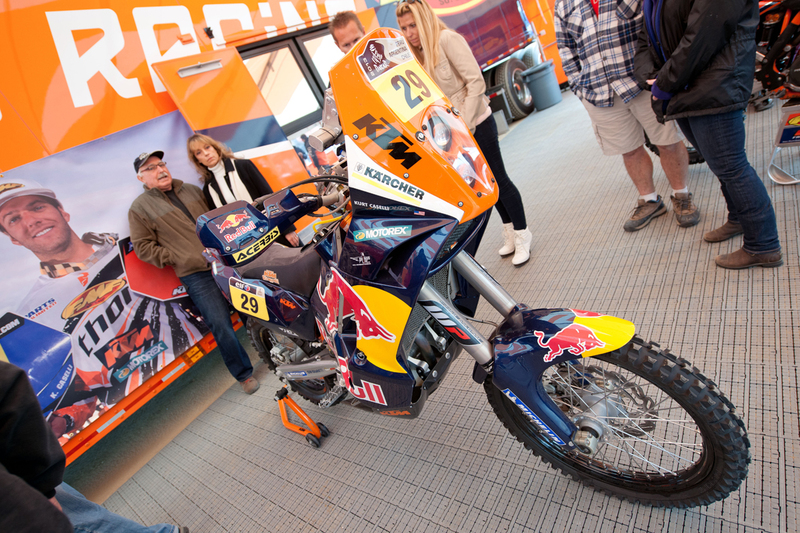 The KTM 450 RALLY, that he was set to steer in the 2014 Dakar that will take place in just a few weeks, stood redundant and forlorn but also proud; an indication of the level and status that Caselli reached in his short time on two wheels. 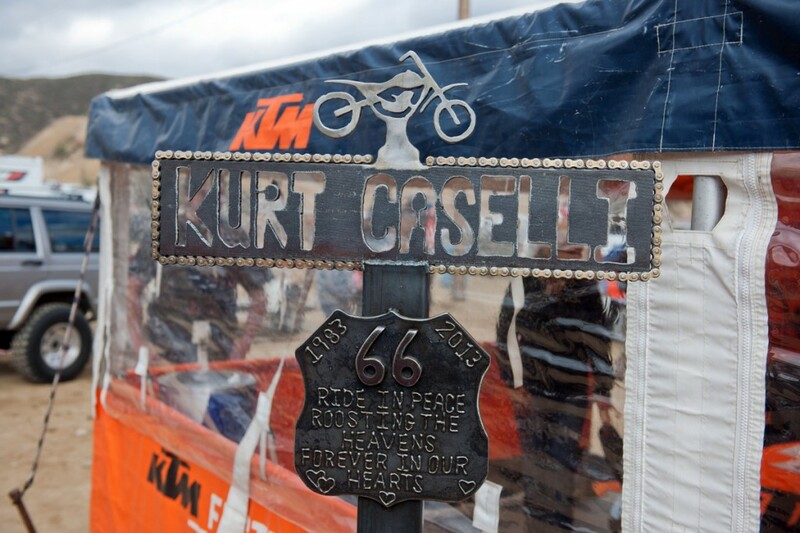 Most of those at Glen Helen will remember the tenacity that brought Caselli multiple Hare and Hound titles and elevated the Californian into the upper sphere of the sport on U.S. soil but also internationally in the one discipline –Enduro/Rally – where America are playing catch-up to other nations. 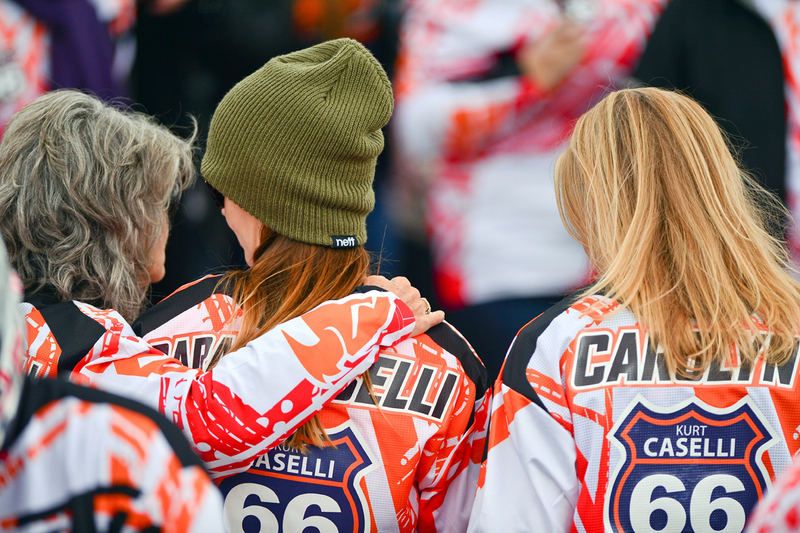 Caselli was a badge of honour for the United States. 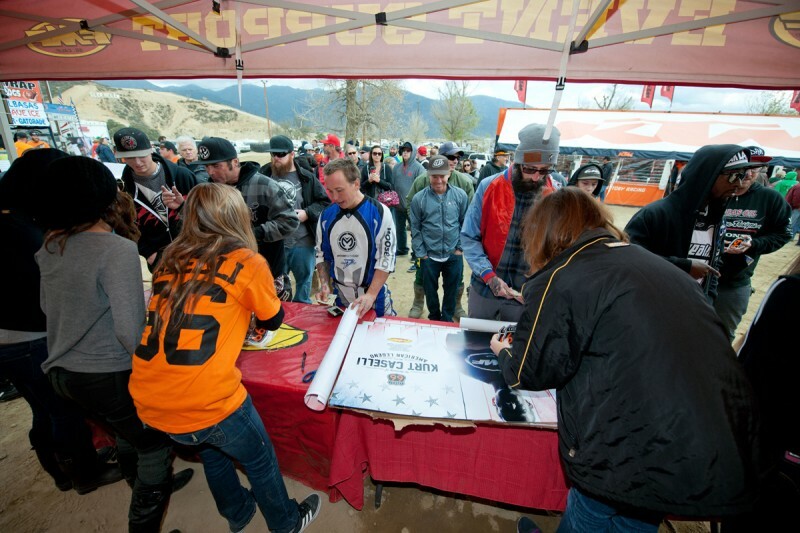 KTM North America announced full support for the establishment of the Kurt Caselli Foundation at Glen Helen that saw proceeds – almost 60,000 dollars – from the day and further donations heading to efforts to support technology for increased rider safety in off-road riding as well as setting up a high school scholarship fund. 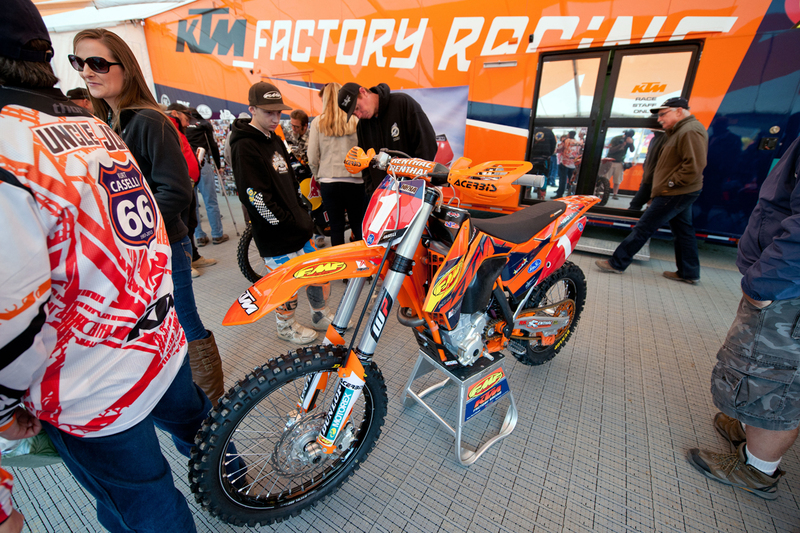 People interested in donating to the foundation can send money to: KTM North America, Inc., c/o: Caselli Foundation, 38429 Innovation Court, Murrieta, CA 92563. 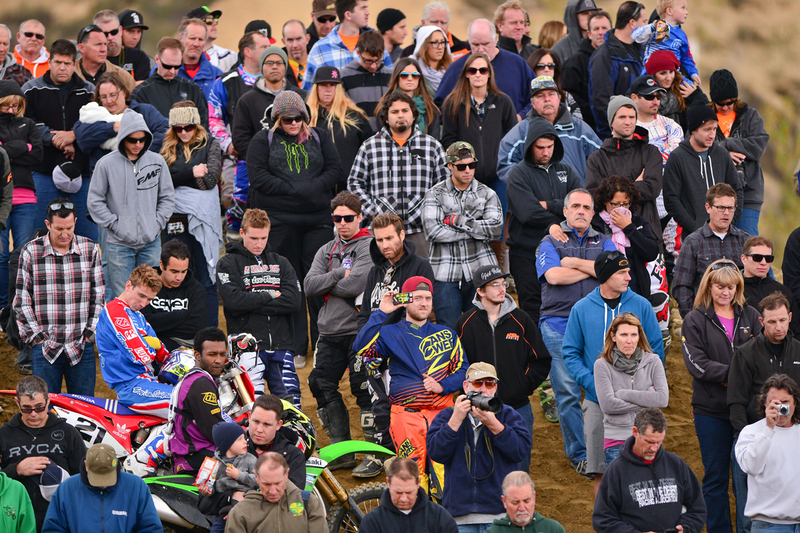 2 Responses to Thousands descend on Glen Helen for Kurt send-off!